So many favourite items in this post! I've just started working full time in London and I'm still adapting to the 'anything goes' dress code. On the one hand, I want to feel like I've made an effort... but at the same time, I want to be comfy for long and busy days. I feel like a look like this brings the two together. A black jean is the ideal smart casual piece to make your work wardrobe work harder, and the kick flare shape update this pair from other skinnies or straight leg styles. In true M&S style, the jeans are super comfortable, a great fit (come in short length) and flattering. 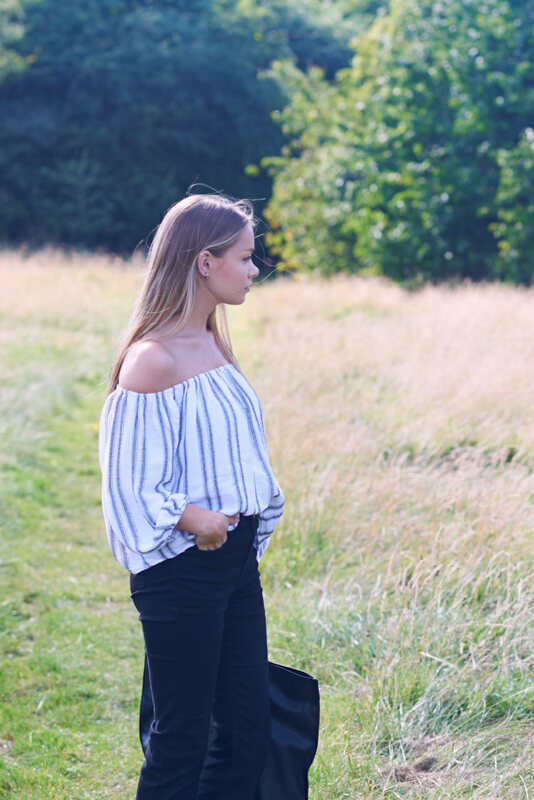 The bardot is the top of the season and it's easy to see why, it accentuates the shoulders and chest without being revealing, AND this particular style from Miss Selfridge is really lightweight for the recent hot temps we've been facing in England. My best buy of the season though, is this double breasted Topshop blazer. I have found it to be really versatile and it makes every outfit 100% more stylish. 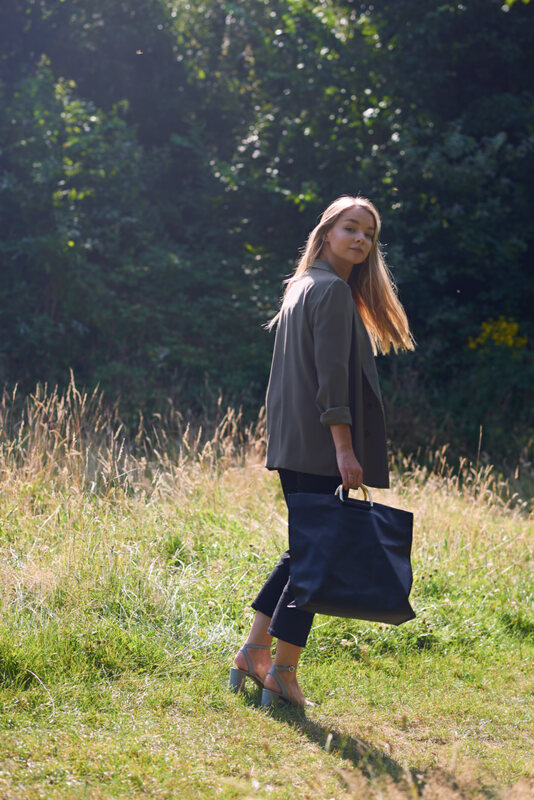 It looks expensive and is fairly affordable as blazers go and it also comes in a few other beautiful colours- I've got my eye on the petrol blue and pale pink! And a great bargain find at Topshop Oxford Circus were these Chanel-esque block heels. They were the last pair in the sale and I couldn't leave without them. As heels go, they are really comfortable, maybe causing slight soreness towards the end of the working day- but in my books that's a winner! What's your favourite item and have you found any great staples this Summer?